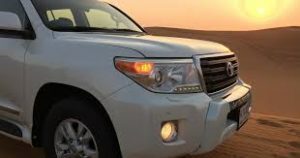 GHT Dubai is promised to provide you the every side of entertainment, we offer you Donut Ride in Dubai with a different style that let you to meet another face of entertainment. It is our first priority to entertain you in the best during your whole stay in Dubai and we offer you this amazing opportunity to enjoy the Donut seating and surfing as well. This is an entirely new and amazing experience of your life that will bring up a lot of excitement and happiness together. To have another fun side in Dubai you should go for it. We offer you the BBQ Donut, a perfect settings to have your lunch, dinner or tea/coffee as well according to your mood or desire. Seating in comfortable donut at the beach side in water and enjoying your stuff with amazing scenery around will an amazing experience of your life. This could be you amazing stop while shopping or sightseeing in Dubai. Much more to that you could have some of the special settings as well to make some special moments of yours even special and memorable for life as well. To have a romantic dinner in the beautiful evening or have a warm up lunch in the noon of Dubai this will be a perfect and ideal setting for sure. In our Donut Ride in Dubai we do give you a chance to enjoy the water sports in donut as well. It will be nothing but a thrilling experience of water sports seating in a donut and passing through the amazing sea waves dragged by a boat. This will be another very own kind of adventurous experience that you will never forget. In the sunny day having all the water fun that comes with a package of excitement and amusement will charge you up for more adventures and refresh you too. Dubai is a city where everything is just extremely different and unique as well. Here you have got a number of chances to try our different stuff that you might be not able to try some other time in your life. 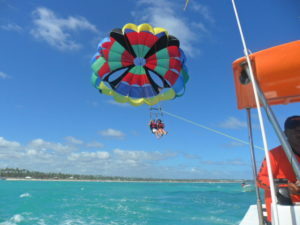 Here you can get each and every taste of adventure, thrill and comfort as well. So, get a Donut Ride in Dubai now and do not miss this excitement in your life. Contact us now for more details and bookings on available contact details.